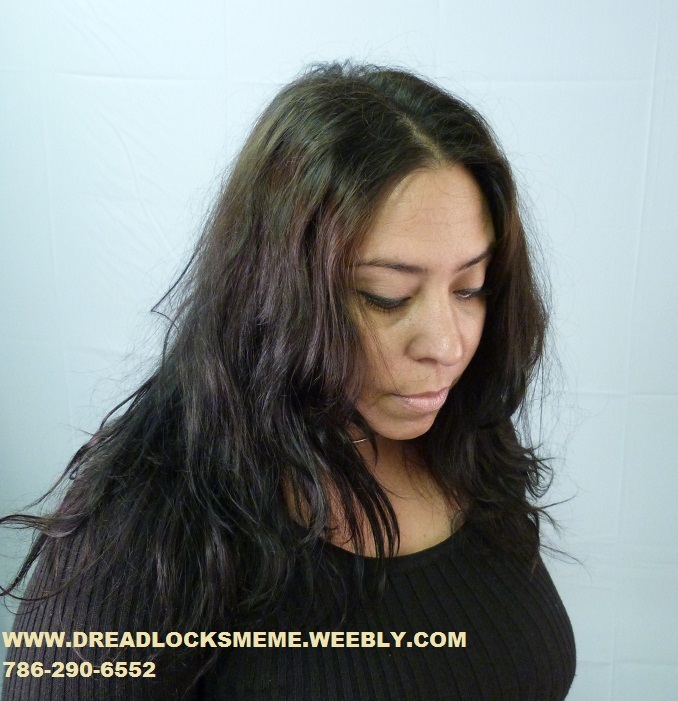 DURING THE DREADLOCKS WRAP AROUND PROCESS. AFTER:: WRAP AROUND TECHNIQUE +WASH & STYLE. 1. 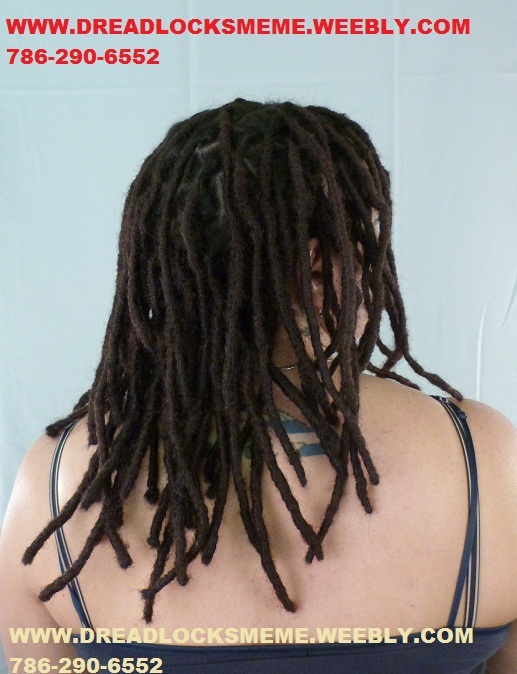 The Hair has to be washed a day prior to the Dreadlocks Services. 2. The Hair has to be clean & absolutely NO grease on the hair. 3. Back Brush or Back Comb the hair. 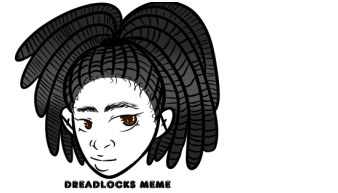 a-) Create a design for the base of the hair (Root of the hair). 4. 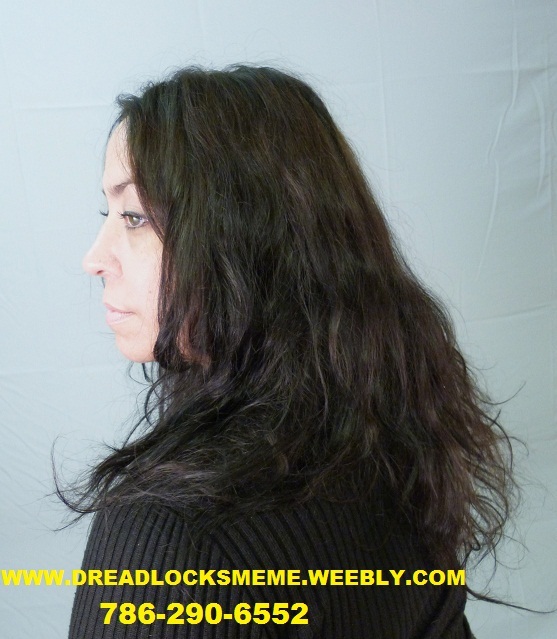 Begin the Dreadlocks Wrap Around Process. 5. 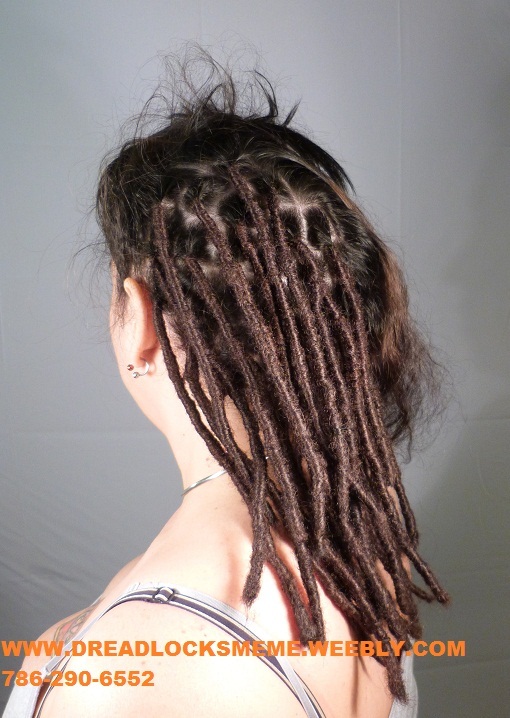 The Wrap Around Dreadlocks has to be well secured. 8. After the Wrap-Around Technique. 9. Wash the Client's hair. 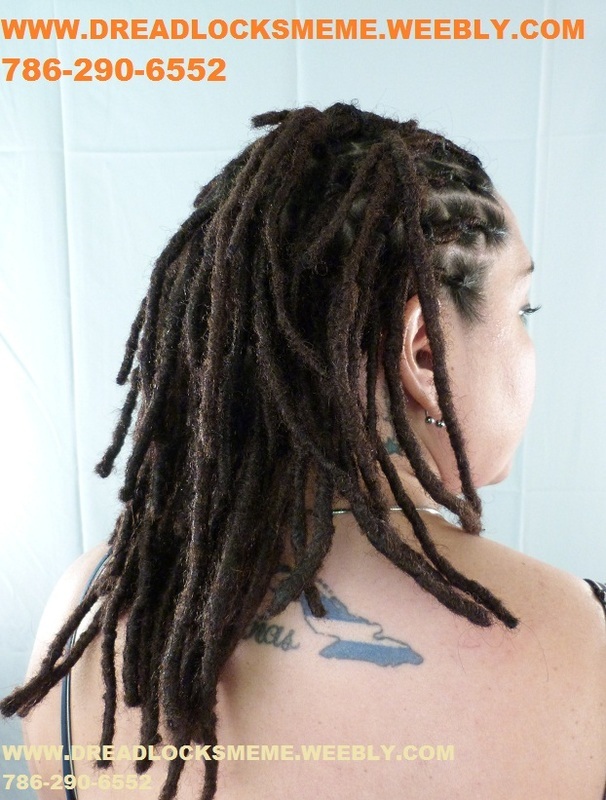 and NO conditioner, therefore the New Dreadlocks will have a Soft texture to it. 11. 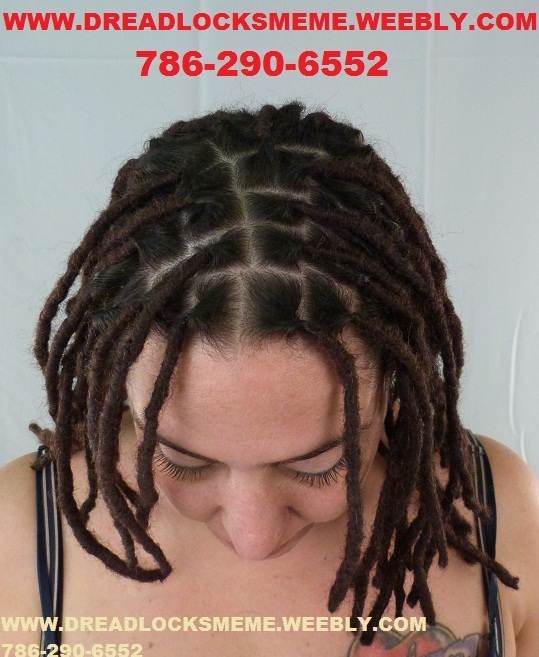 Final Style: Base on the Client's request, style the new Dreadlocks. 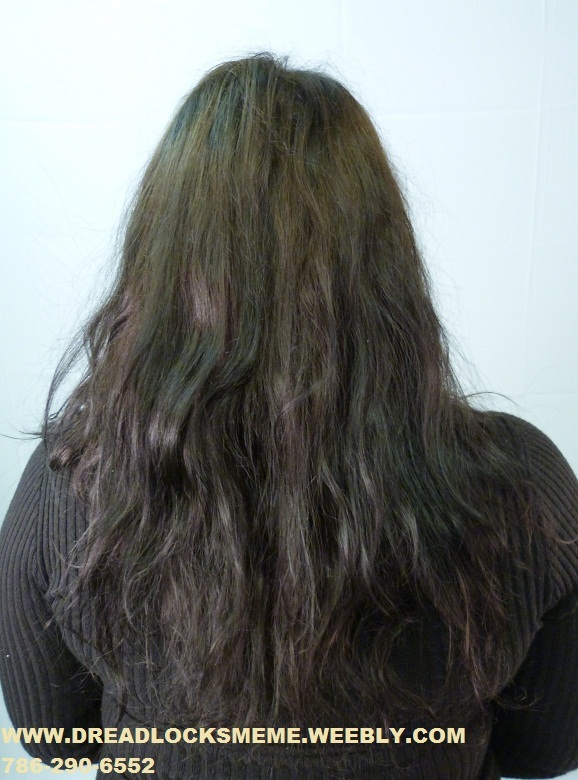 client's hair at that particular time. 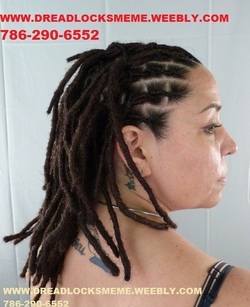 In regards to the above style please come for a free Dreadlocks Consultation. 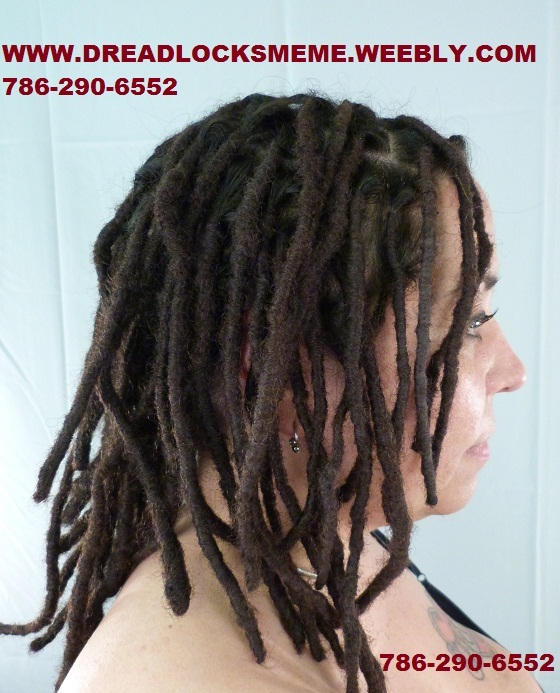 day they come into the Salon to complete the Dreadlocks style. Charge amount for these services is from $550.00 & Up. It requires a lot of patient from both Client and the Locktician. and the process of the above style. 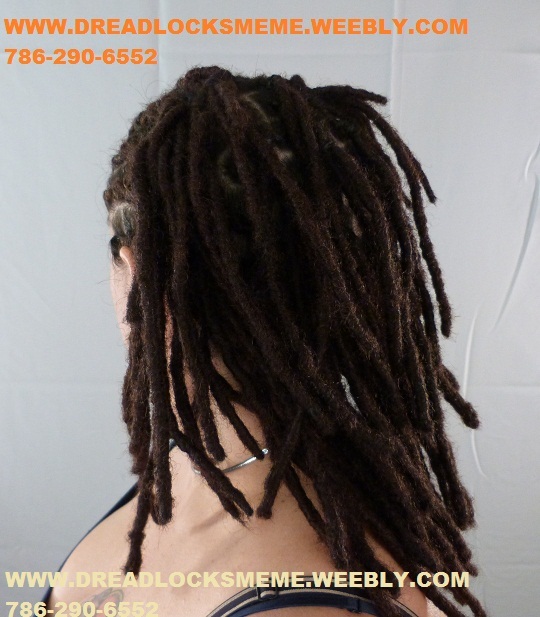 Check other pages for more Dreadlocks Styles. To Book an Appointment please Call 786-290-6552 or Submit your information.